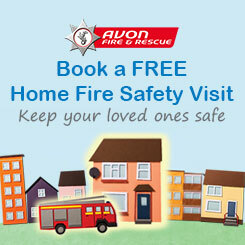 In the UK an average of 34 children under the age of 11 are killed in fires every year and around 1,200 are injured. We have a selection of educational packages tailored to different age groups and designed to deliver engaging safety messages. We are committed to providing fire, water and road safety education to young people to help them stay safe. One of the ways we do this is by visiting schools to deliver lessons about the dangers of playing with fire, open water and using the roads. If you would like to find out more about how we deliver this package please download the pdf brochure below. You can request a school visit by completing the form below providing your invitation reference number if you have received one from us. Please select which package you would like us to deliver. Part of the form asks for details about the pupils in the class. We will use this information to tailor our lessons to the needs of the class, taking into consideration any special requirements, and to monitor our delivery and evaluate our progress. Do you have a main hall we could use for the lesson? Please let us know about any pupils that have been directly involved with a fire or has had experience within their wider family circle. In the text area above, please provide as much information about the incident as possible so that we can tailor our approach to relevant parts of the lesson.